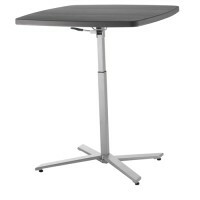 View Item Café Time Table, Height Adjustable 30" to 42"
Perfect meals and perfect planning belong on a pedestal! A Pedestal Table, that is! 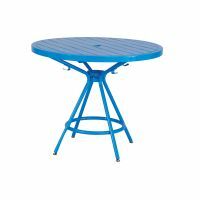 Cafes and Restaurants will love Pedestal Tables with Table Tops. 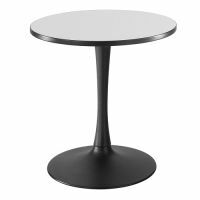 When a Pedestal Table with Gliders needs to be moved, it�s smooth rolling, which is perfect for anywhere that moves around furniture a lot! Maybe you like to have dining and seating available outside in nice weather. 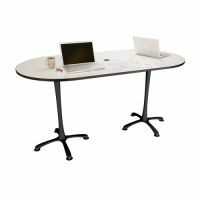 That�s easy to accomplish with two piece tables! 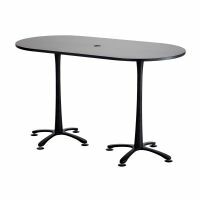 Pedestal Tables make it easy to fit several Chairs around the table for extra leg room. Use these tables anywhere. You can use them in place of Cafeteria Tables in your break room! Use them as a conversation piece and as part of your d�cor, rather than something to hold your decorations. The LED, Plexiglass, Swirl Aluminum Pedestal Table will have everyone envious of your good taste at the next cookout or house party you have! 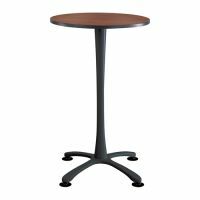 Whether you need a Round Based Table or a Dual Pedestal Table, US Markerboard has the Table Base for you! Attach a Table Top to the Pedestal Base and you�re good to go!